Look at this HOT 2017 Honda CRV Touring AWD that just arrived here at Auto Group of Louisville cloaked in the popular Sandstorm paint! This American Honda Motor Corporate Leased Vehicle is loaded with all the great features that you need and want. Just some of the options are Honda Sensing Safety Suite, (Adaptive Cruise Control, Forward Collision Mitigation, Lane Keep Assist, Blind Spot Monitoring), AndriodAuto & Apple CarPlay Capable, Proximity Keyless Entry and Start, Remote Start, Navigation, Heated Leather Seats, Power Sunroof, Rear Cross Path Detection, and a slew of other awesome features. 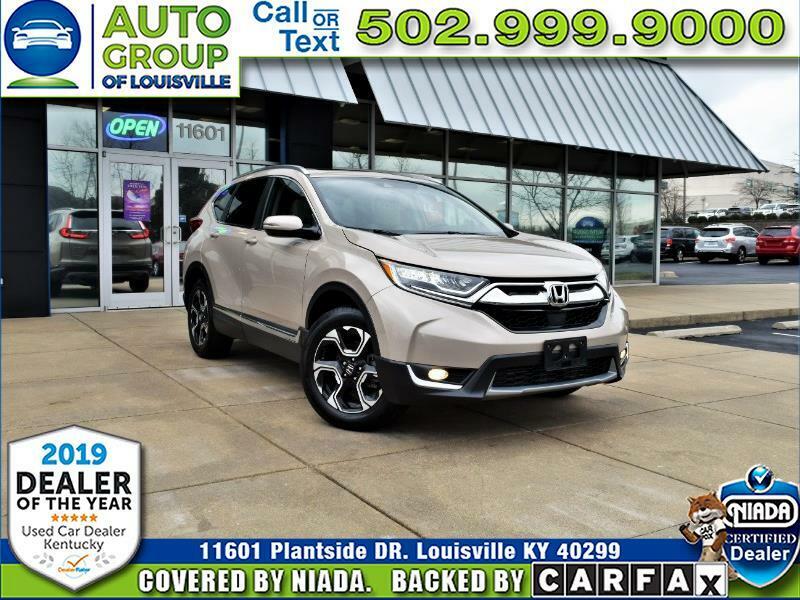 You NEED to come to see this before it's too late and someone already takes it home, hurry by 11601 Plantside Drive in beautiful Jeffersontown Kentucky and let one of our Great, Friendly, Knowledgeable Customer Care Specialist show you this CRV today!